Imagine, you are at a function, such as a party or book signing and someone wants to buy a signed copy of your book directly from you, but has no cash on hand. How useful would it be to accept a credit card for your sales (besides that, spending increases more, when using credit cards). 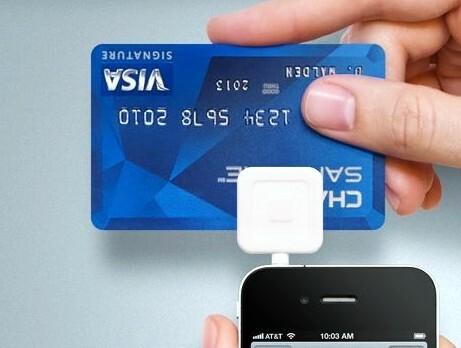 This transaction is now possible with a tiny device, you attach to your cell phone, called the “Square“. It is the second revolutionary idea Jack Dorsey, co-founder of Twitter, has helped to create and transform into a viable business: Square Inc., a mobile credit card reader and business management system. Canada is the first stop in Square’s global expansion, after the successful launch in the States. “We want to carry out every transaction in the world,” he’s said – not a small dream. A small, free (and yes, square-shaped) plastic card-swipe reader that plugs into an iPhone, iPad or Android. It allows registered sellers to accept Visa and Mastercard purchases, with a 2.75 per cent fee per transaction. Two million individuals and merchants now use Square in the U.S. to record $8 billion in annual sales. Starbucks added the Square payment system to 7,000 U.S. stores last fall, and bought a $25-million stake in the company. Square’s free app gives retailers business tools to track sales, taxes, inventory and popular items; it can identify new customers and give them an incentive to return with discounts or loyalty programs. Forbes, which recently added Twitter Co-Founder Jack Dorsey as a billionaire member of its famed list of the 400 wealthiest Americans, calls him “nerdier than Steve Jobs” and “a disrupt-er on an epic scale.” Certainly, he builds big dreams from small ideas: a tiny plastic dongle, or a blogging site designed so even those using the most primitive cellphones can tap out 140 characters and participate in the global conversation. BTW, Jack Dorsey’s favored writers are Ernest Hemingway, William Gibson and Margaret Atwood. Not only writers can sell their books everywhere they are, performing artists for example can sell their records/DVD’s or any other art work right away after performances to their fans. It’s possibilities are endless: garage sales, antique shows, farmers markets … these tiny devices are tremendously useful just everywhere to do payment transactions. Anyone who’s selling anything, be it at a yard sale or a bake sale, collecting donations, or if you’re a music teacher or a gardener, you can now accept credit cards. Jack Dorsey expects individuals and small retailers will be the early adapters. You can start to accept credit cards today, get your free card reader for your phone at Square. Please feel free to check out all previous posts of this blog (there are more than 730 of them : ) if you haven’t already. Why not sign up to receive them regularly by email? Just click on “Follow” in the upper line on each page – and then on “LIKE” next to it. There is also the “SHARE” button underneath each article where you can submit the article to Pinterest, Google+, Twitter, Chime.in, Facebook, Tumblr and StumpleUpon. Tags: book sale, book signing, Forbes about Jack Dorsey, Jack Dorsey, Square Credit Card Reader, Square Inc.